Imagine tropical plants, exotic fish and visible expanses of colourful earth...in your drawing room! Yes, now you can recreate the beauty of the underwater world of Amazon. inside the confines of your home, all thanks to some Nature Aquarium experts who are painting the city green , red and blue. An acquired art form, allows you to create an underwater landscape inside a fish tank. Says nature aquarium expert AJAY PATEL, "Over the last five years, I've seen several people showing a keen interest in planted aquariums. 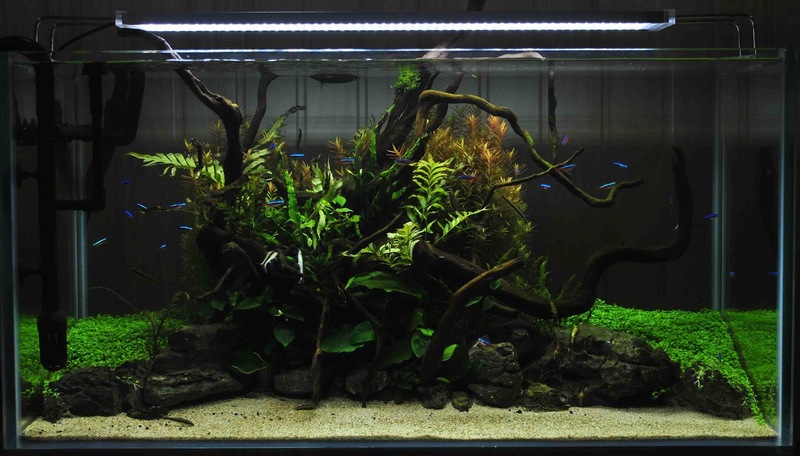 In fact,some of my friends have also won top prizes in aquascaping contests held at Japan." Want your own piece of nature? It's better to choose a tank with height no more than 18 inches as that height helps the light penetrate till the bottom, which is a must for planted aquariums. Greater deapth of tank helps as well . While choosing a place to keep the tank, avoid zones that experience frequent temperature fluctuations and direct sunlight. Avoid windows or kitchen corners. The location should be away from electrical/electronic equipment too. Substrate: The substrate is the soil on which the plants grow. It is spread at the bottom of the tank with a minimum height of 3 inches (may vary according to the kind of plants used). A large variety of readymade substrate are available in the market. 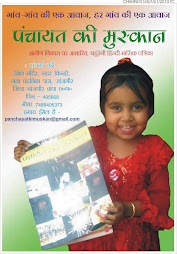 "For beginners, the quality of soil may be the key to their sucess . ADA Amazonia as a matter of fact is the most effective when it comes to substrate. ADA soil its characteristics and behaviour in aquarium is easy to predict as the compositions are controlled. If properly maintained (used in soft water with periodic doses of liquid fertilizers), it will lead to a sucess balance in your aquarium . Light: You can opt for LED lights, tubelights, PLs or metal halides LED being the best. The general rule is 3-5 watts per gallon of water. If you have a 30 gallon aquarium, you need a light system of 120 watt or more.Whatever light you use, With proper equipment in place, eight to 10 hours of lighting in sufficient for plant growth. CO2 (Carbon Dioxide): You need a cylinder to inject the gas in the water throughout the time the light is on. The amount of CO2 will vary from tank to tank, depending on plants, nutrition capacity of the soil and the amount of water. Remember, excessive CO2 can also kill the fishes. Fertilizer: There is a range of fertilizers available in the market.Needless to say , it's absolutely necessary for plant growth. Filtration: Chemicals from plants and leftover food can pollute the water. To remove these, a canister filter is required. Hang on back filters can also be used. As per require ment, chemical filters like activated charcoal can also be used. Plants: Using plants such as Elocharis parvula, Echinodorus tenellus, Saggitaria subulata, Micranthemum umbrosum montecarlo and Marselia sp. Glosso stigma and Hemainthus cuba are great choices. 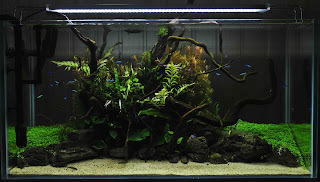 Plants like Hygrophila polysperma, Cryptocoryne Family, Ludwigia family , Didplis diandra, Styurogen Family , Anubias family can be used as midground plants. Several varieties of underwater plants are available in the market but may lead to unwanted pest and snails in your aquarium . Here tissue culture plants are your best bet as they are grown in a controlled environment and are pest free. They grow much denser and provide you with a better chance of success. Decorative items: Generally , driftwood and rocks are used for decoration.As they are a realistic n funtional representaion of nature. Once you have zeroed in on the right spot and gathered the equipment, it's time to set up the aquarium. Start by spreading the substrate on the tank floor. Decorate the soil and proceed to adding water, but only until it submerges the substrate. Place the plants one by one with the help of tweezers. Now fill the tank without disturbing the base. Setup the filter and lights. Change 80% of water once a week. Fishes are rather essential for plant growth and to ensure a proper ecosystem and give the aquarium some movement. Choose from freshwater fishes and shrimps, but do not go for those that dig holes in the ground. Make sure the fishes you choose are compatible with the plants. Neon tetra, Harlequin Rasbora, Rummy Nose Tetra can be good additions. Many algae eaters and shrimps that live happily in the planted tank. CO2 level must never exceed the required level.Water temperature must not be higher than 28 degree centigrade. Direct sunlight, plastic and other chemical contamination must be avoided.The water must be soft and chlorine free.Use of light and fertilizer must be proportionate. Lights should be turned on for at least 7 hours per day. Plants would be lush green and healthy, without any algae, snails and leech.Plants would release small oxygen bubbles after the lights remain on for five to six hours.The fish would roam around the tank and not float near the water surface.Plants and some fishes would breed inside the tank. ** An effective educational tool to instil a sense of responsibility towards Nature. ** Reduces stress, enhances motivation and increases efficiency among employees. ** A healing space will increase footfall. ** Helps reduce pre-treatment anxieties. ** It relaxes and enriches our lives. Afterall who doesnot require a piece on nature in their home.